I've let my feeling be known many times on how I feel about these found footage documentary films, that use camcorders. They are lazy, usually have no storyline, and the constant camera movement is just nauseating. Europa Report is different, as the film is told through surveillance cameras, aboard a state of the art space ship. Europa is a privately funded mission to the sixth moon of Saturn, to investigate strange heat signatures detected by NASA, that could be alien lifeforms. The cinematography was better than most of these film, and there was somewhat of a back story, however Europa Report is really not much different than a million other similar films. Nothing really happens until they reach their destination, they find something strange, and then must decide if fighting for their lives is worth the potential for scientific discovery. I bet you can name a dozen other films that were similar. As for the cast, they were just like film, in that they were very average, with little to nothing of note. Science Fiction is my favorite genre and I'm always hoping these films will show me something new and excited, but as with Apollo 18, Mission To Mars, Sunshine, and Moon, I was extremely disappointed. 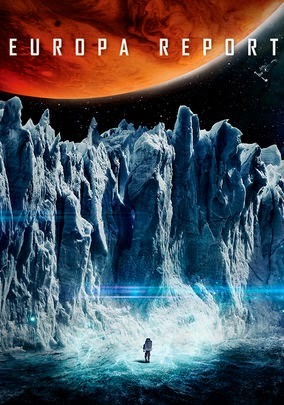 Europa Report wasn't a bad film, but it wasn't unique in any way. If you haven't seen many films, you may be wowed by something like this, but if you're like me, all you're going to find is a very boring and unimaginative film.